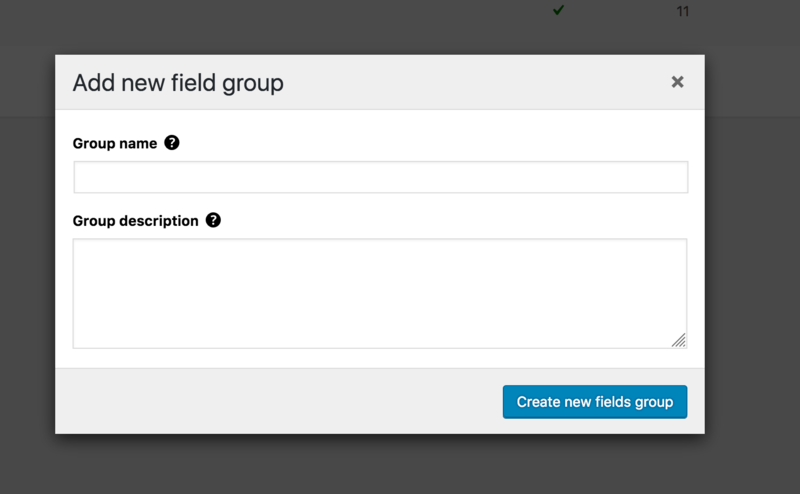 In some cases you might want to create a new fields group to split fields into different groups. Field groups are displayed one after the other into the profile page. The account page however, will display a separate new tab for each group that you have created. As you can see in the image above, the account page now displays a new tab called "Custom fields" this is the name I have given to a group I have created through the custom fields addon. Once clicked, the new tab will display the fields from that group only. The profile page instead will display all groups together but separated by their name and/or description. 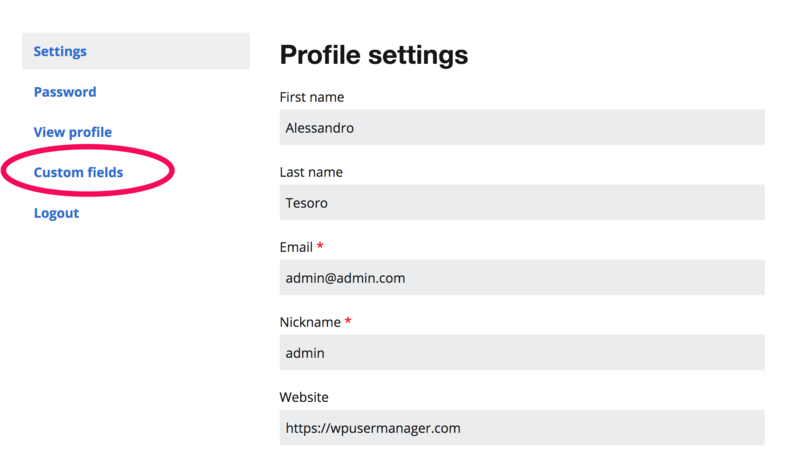 To create a new group navigate to "Users -> custom fields" in your WordPress dashboard and press the "Add new fields group" button. Once pressed, a window will appear asking you to add a title and description. Only the title is required. These can always be changed later. Once you have customized the group, press the "Create new fields group" button. Once the group has been created, it'll be added to the lists table from where you can press the "customize fields" button to add fields to that group.